Stainless Steel JIS G3446 Seamless Piping, SS SUS 316TP Welded Tubes, SS JIS G3459 / G3463 Seamless Tubes, Stainless Steel SUS G3468 Tubing Exporter, Supplier. Piyush Steel is a prominent distributor and supplier of JIS G3446 / G3447 / G3448 / G3459 / G3463 / G3468 Pipes & Tubes, which has some admirable features to present like Dimensionally accurate, Longer service life, Compact design, Corrosion resistance, Reliable nature, Seamless finish, and more. In tune by means of industry standard, we offer the complete collection of JIS G3468 Pipes in dissimilar made to order options and leading market prices. For manufacturing these JIS G3446 Pipes, our expert designers use best quality of raw material and established manufacturing processes. Our array of JIS G3447 Tubes is quality inspected by professional and expert analysts from time to time making sure to give soaring toughness. These JIS G3448 Pipesare very much well-organized in performance and also have long span of life. This JIS G3459 Tubes is precisely varied by employing highly developed technology. 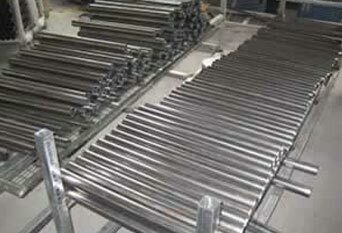 Our firm has been recognized in providing a wide range of JIS G3463 Pipes to our esteemed customers. 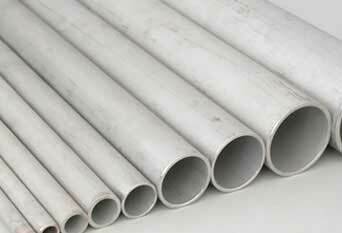 JIS G3446 Pipes & Tubes, SUS G3447 Stainless Steel Welded Tubes, JIS G3459(SUS304TP, 304LTP, SUS316TP, 316LTP) Seamless Pipes, SUS G3463 / G346 Seamless/Welded Tubing Manufacturers, Supplier. To cater different demands of our clients, we are providing these JIS G3468 Tubes as our customer detailed requirements and needs at reasonable costs. We provide these JIS G3446 Tubesin different size options. And also this range is highly praised in the market for offering fastening for a long time. Offered JIS G3447 PIpes is being manufactured by our knowledgeable experts by using quality standard raw material and avant-garde technology. These JIS G3448 Pipesare crafted to excellence by our keen specialist who treasure their work and carry out devoid of any faults. 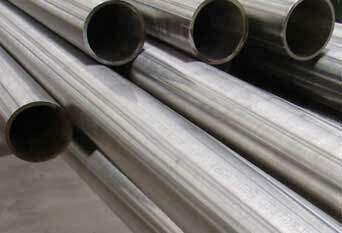 Offered JIS G3459 Tubes are at length esteemed for their dimensional accuracy, corrosion resistance and superior finish. These JIS G3463 Tubes are used in several applications which include: Threaded fasteners; Springs; Welded or Woven screens for quarrying, water filtration and mining; Heat Exchangers; Chemical containers, which include for transport; Architectural railings, trim and paneling; Kitchen sinks, troughs, benches, machinery and appliances; Food processing machinery, mainly in milk processing, wine making and beer brewing; etc. We Supply JIS G3446 / G3447 / G3448 / G3459 / G3463 / G3468 Pipes & Tubes of various origin’s and companies like Nippon Steel & Sumitomo Metal, Sandvik, Sanyo Special Steel, Kobe Steel, Schoeller Bleckmann, Salzgitter Mannesmann Stainless Tubes, Tubacex etc. (1) Other nominal diameter and wall thickness subject to the approval of vendor and purchaser with MOQ requirement. (2)Chemical composition of stainless steel raw materials: According to specification ASTM A240. 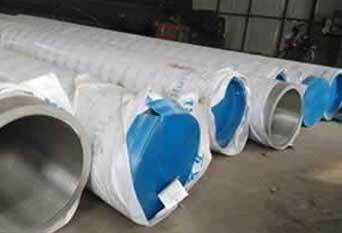 (3)* Indicates a domestic building hydroelectric pipe, the thickness tolerance of ± 0.35mm.